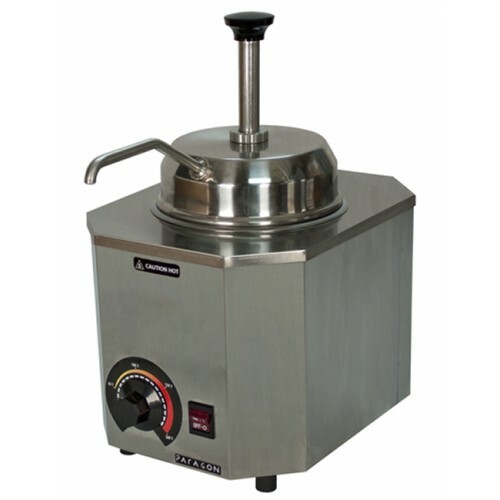 Paragon Brand Nacho Cheese Warner & Dispenser (Pump) - The Pro-Deluxe Warmer is an ideal dispenser for Hot Fudge, Caramel. and Nacho Cheese. Features: stainless steel body and a lighted master ON/OFF toggle switch.